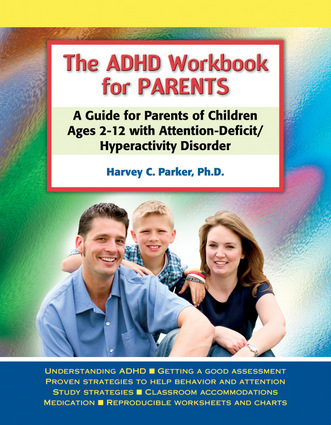 This informative guidebook coaches parents through the daily tasks involved in raising children with attention deficit/hyperactivity disorder. Using a combination of helpful worksheets and practice exercises, this handbook offers practical instruction that allows parents to advocate for their child in the classroom as well as facilitate structure in the home. The strategies—broken down into clear and accessible chapters—help parents to manage behaviors, handle homework, and manage medication. Harvey C. Parker, PhD, is a clinical psychologist and a consultant to educational agencies and schools. A cofounder and former executive director of Children and Adults with Attention Deficit/Hyperactivity Disorder (CHADD), he has been highly involved in the advocacy for better understanding and treatment for children, adolescents, and adults with ADHD. He is the author of The ADHD Hyperactivity Handbook for Schools and The Problem Solver Guide for Students with ADHD, and the coauthor of Study Strategies for Early School Success. He lives in Weston, Florida.